It seems that everywhere I go I meet people who are attracted to Ireland, Scotland and the Islands of Britain generally. It's a real phenomenon. Perhaps the subject comes up because I lived in Scotland for so much of my life. People want to ask me what it was like -- but most of all they just want to tell me how beautiful it looks to them, how much they long to go there, or that they have visited and it was incredible. I sometimes wonder where that love and longing comes from. Ancestry, in some cases, of course, but many are simply attracted by the green landscape, ancient monuments and cultural delights. In other cases, people may be on a Celtic spiritual path, or attracted to one. Being enthralled by nature as they were, the Celts of an earlier time viewed their world through the lens of the Three Realms of Land, Water and Sky. They intimately knew the lives and behaviour of animals -- both wild and domestic, they understood the uses of plants, they could read the sea and the weather, and they felt the power of the liminal spaces where the realms touched. When we have forgotten this knowledge our spirits are impoverished. If we lack this knowledge, the study of Celtic myth and the love of Celtic gods is in danger of becoming an exercise in fantasy because we have no grounding in the reality of nature. Are you interested in Celtic spirituality? Do you long to see the meanings in the natural world? 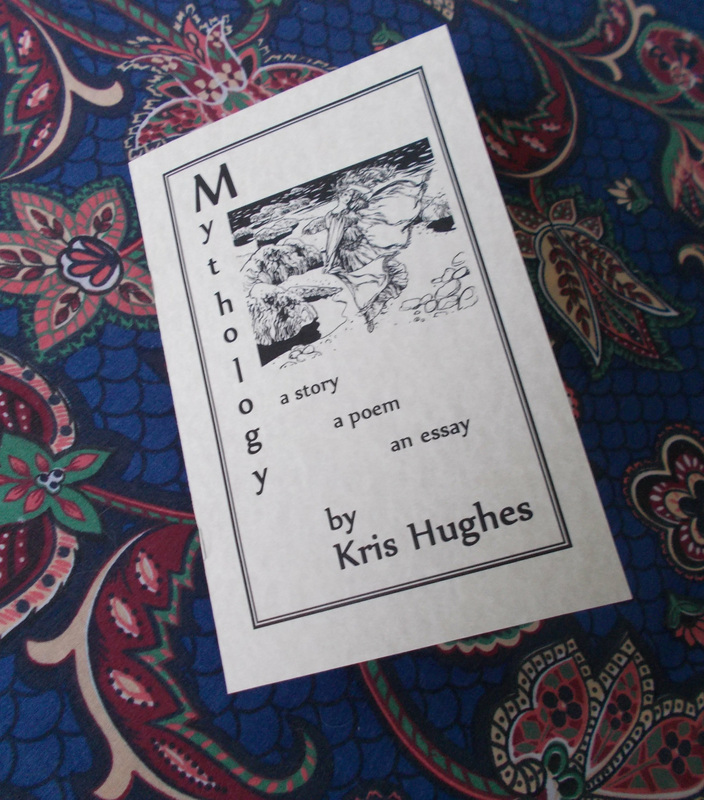 How do culture, nature, myth, folklore and spirituality relate to one another? What does the countryside have to tell you? How does the natural history of where we live inform our spiritual lives? How does the natural history of the British Isles inform Celtic spirituality? Join us April 21st - July 7th, 2013! Whether you live in a place that couldn't be more different than Britain or right in the heart of it, whether you are stuck in a city...an office...or deeply engaged with nature already this course will deepen how you relate with nature and spirituality. And no matter who you are, or where you are, your unique viewpoint will be honoured and valued as we use the Go Deeper oracle to follow the signs. 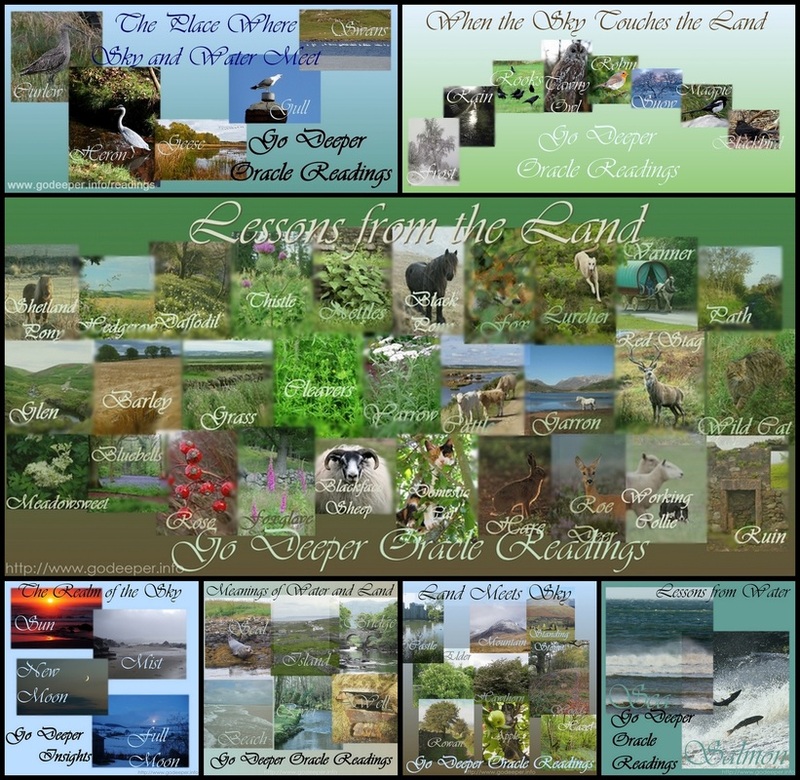 Many teachings on the Celtic path focus on the seasons and the wheel of the year. This is a very valid approach, and one I enjoy. However, without a deeper understanding of nature and the countryside, it can be a little hollow. Our focus will be on place, and on the inhabitants of place, the doings of those inhabitants, the meanings of their surroundings, and the atmosphere in which they live. Weather, topography, culture, plant and animal life, all enrich our understanding of ourselves as spiritual beings. Without meaningful associations concerning the reality of the natural world in which Celtic spirituality developed and exists today, we are left without an anchor. As your fellow traveller and guide on this journey, I will encourage you and challenge you to learn about these things at a depth that is right for you as an individual. Much material will be made available, but you can study as much or as little of it as you wish. "Assignments" will take the form of a few questions to think about each week, and a little time spent thinking about the week's cards. Through the weekly guided visualisation, we will explore and develop our inner landscape, and learn to relate it to our lives and to the world of nature. We will invite the spirits of nature to speak to us on an individual basis and deepen our connection to the Three Realms and our understanding of them. This is a twelve week course! You can listen to this audio to get an idea of the way I present a guided visualisation. (Please listen with a generous heart - it is my first attempt at recording one!) This particular journey is for relaxation and enjoyment whereas the journeys we will take on the course will allow you to build something more personal, long-lasting and meaningful. I can't promise that there will always be background music, etc. -- we'll see how that goes as we progress. ~ A weekly audio guided visualisation and conference call. Participate live or listen later on line when it's convenient. ~ Photos of the week's study cards for you to look at on line or download, and their meanings. ~ Daily discussions available in a private Facebook group for participants, I will be available there to answer your questions about the study material. This will give us a chance to get to know one another better, but will also be an important vehicle for the teaching element. 1. This is a 12 week course, into which I intend to invest a lot of time and energy, in order to make it a truly transformative experience for all of us. While it will be a labour of love, and also a growth opportunity for me, a good return on my investment of time would be appreciated. I trust you absolutely to choose the amount you consider to be fair. 2. If it is your heart's desire to join us on this journey, please do not exclude yourself because you find payment a challenge, or want to pay a different amount, or need to pay in a couple of installments. Email me, and we will work something out. 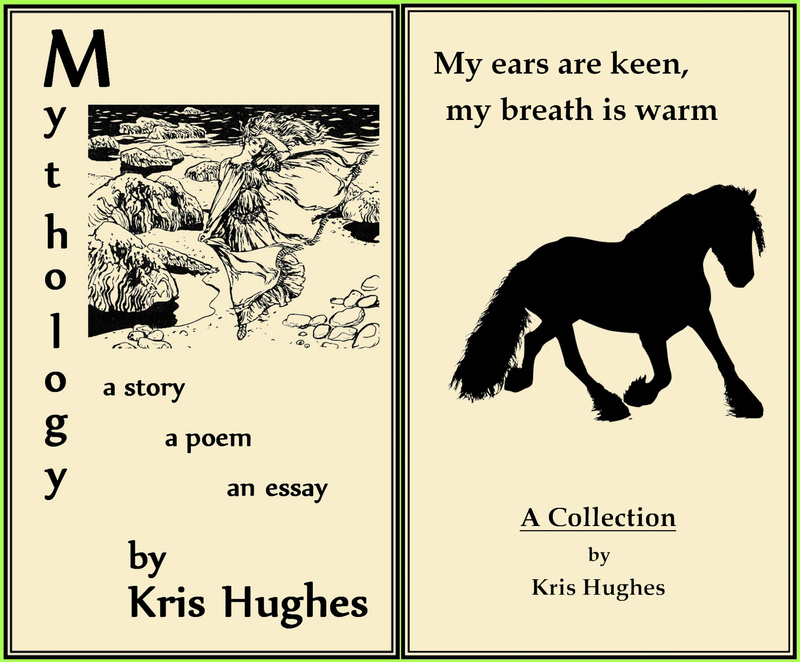 The new Mythology chapbook, plus a copy of My ears are keen, my breath is warm - a collection of poems, and a short story, all relating to horses. Full participation in the 12 week course. A chapbook collection containing the allegorical tale The Story Shawl, a poem about Macha entitled Approaching the House of Cruinniuc, and a long essay called The Beach.